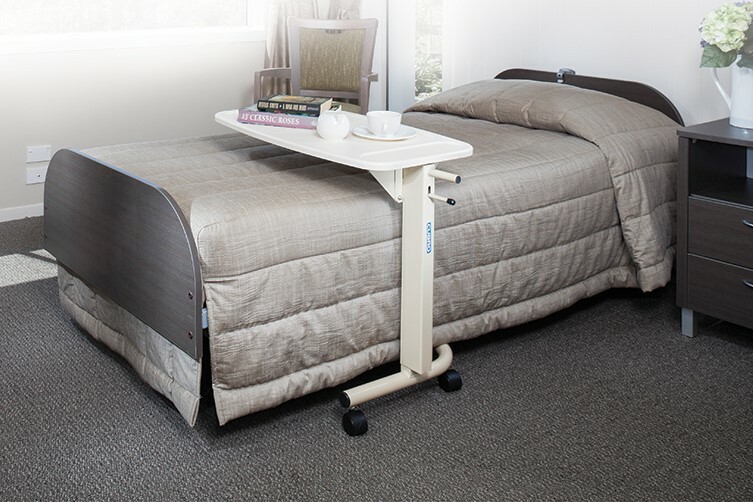 We supply, service, rent and hire new and used adjustable beds, electric beds and medical beds. We also stock and supply mattress overlays and mattress toppers. We supply, service, rent and hire New Zealand wide. Our most popular models are listed below. Alegio - the high quality, low cost solution. Excludes mattress. The Etude Medley from Invacare offers the perfect balance of budget, functionality and quality requirements. Excludes mattress. This German made adjustable single bed features a modern slimline look is very easy to operate. The ultimate in luxury, comfort and pressure relief. A resilient fabric made of millions of cylindrical, hollow fibres coated with silicone, which acts as a lubricant to friction and reduce sheer forces. Non-powered, multi-zoned, air-adjustable, providing a solution for individuals who require skin/soft tissue protection or have other therapeutic needs. These easy to operate side rails can be fitted to any of our Bock range of beds. Sold individually, choose between left or right side. These easy to operate side rails can be fitted to any of our IC333 range of beds. Sold individually, choose between left or right side.